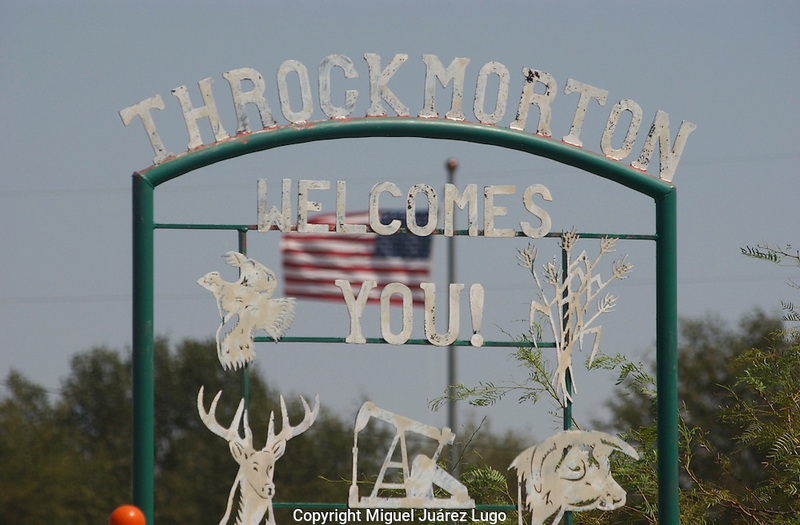 A welcome sign at the entrance to the town of Throckmorton in Throckmorton County, Texas, where Gov. RIck Perry once leased a hunting camp known as "Niggerhead." (PHOTO: MIGUEL JUAREZ LUGO).